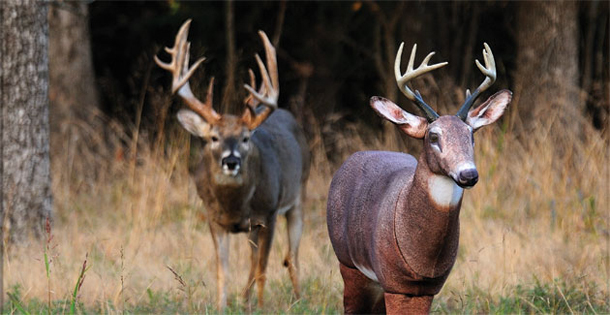 Deer decoys have proven to be a valuable tool for deer hunters, provided they are used wisely. Extreme caution must be used when transporting the decoy afield. Most decoys can be assembled afield, and are easily transported in a hunter’s orange bag. There are many decoys available on the market today. They range from silhouettes to full-body decoys. Some decoys like the Carry-Lite EZ-Buck HD are extremely lifelike with photo-realistic colors. Experts suggest using gloves and being scent-free when handling a decoy, to help guard against contaminating the decoy with human scent. In addition, doe and buck urines used near the decoy, help to complete the setup. Deer decoys help to authenticate calling and rattling sequences, and work best when set up in an open area where deer can see them from a distance. During early season a doe decoy is effective when placed in a feed field, to attract other does and bucks to your location. When used during the pre-rut, employing a doe decoy can be a deadly tactic when used in combination with a doe bleat or a grunt call. Another effective tactic is to set up the decoy as a buck and to rattle and use a grunt call. This tactic works well during the pre-rut and rut period. Keep in mind that a buck will generally circle a decoy and then approach it head on to challenge or spar. When using a decoy remember to set it up 10 yards closer than your maximum shooting range. Remember deer decoys can provide for some exciting hunting!